Garage door repair services are affordable. As a full-service residential garage door repair company based in Phoenix, AZ, you can count on APEX Garage Door and Repair to provide you with the highest quality workmanship when it comes to garage door and garage door opener repair, maintenance, replacement and installation services. In our efforts to ensure your complete satisfaction, it is our goal to provide you with premium products at competitive prices, regardless of how small or large your particular garage door need may be. We are a fully licensed, insured, and bonded garage door repair Phoenix company. With a complex system of moving parts, there are many things that can go wrong with your garage door. Broken garage door springs, misalignment, broken gararge door openers, noisy operation are just a few of the repair calls we receive. We pride ourselves in responding quickly to fix your garage door so you don’t have to miss a beat with 24/7 Same Day emergency garage door repairs. Garage Door Openers can shut down or break for a variety of reasons. Many times it can be a simple issue to fix but occasionally the opener will need to be completely replaced, especially in the case of older models. There are many benefits to installing a new garage door opener as there have been many advances in the design of openers. Quieter operation, energy efficiency, and even smart phone access and control are just a few features that are becoming standard on new garage door openers. Garage Door Springs play a major role in the operation of your garage door. Over time, springs can wear out, rust, and break. Fixing garage door springs is job best handled by professional repair technicians. If you are having issues the springs in your garage, our Phoenix garage experts are here and ready to help. No matter if it is a torsion spring or a extention spring Apex technicians are garage door spring experts. Have a Phoenix garage door problem that just can’t wait? Not a problem at all. At APEX Garage Door and Repair we’re there when you need us night or day. If you’re experiencing any problems with your door, please give us a call at (602) 867-7111, and we’ll promptly send out one of our highly trained technicians. With fully stocked service trucks and around the clock availability, you can count on us to remedy your garage door problems in the minimalist amount of time, our first time out. 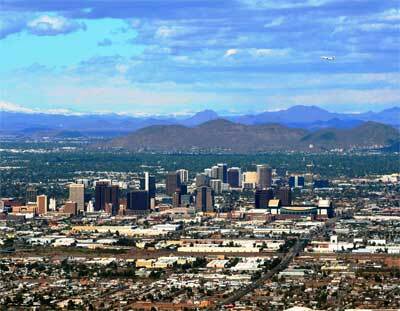 We cover the entire Phoenix, AZ area and assist residential home owners. APEX has years of industry experience repairing, servicing, and installing all makes and models of garage doors as well as garage door openers. This along with our technicians’ friendly attitude, attention to detail and commitment for getting the job done right is what separates us from the competition. But that’s not all. We are also committed to using only the highest quality products from some of the industry’s most prestigious manufacturers, as this ensures your garage door operates safely and reliably, for longer periods of time. Click here for a look at our selection of new garage doors. Contact the Professional Scottsdale based Garage Door Repair Company Apex Garage Door & Repair today! We off 24/7 garage door repair services in Phoenix, AZ.